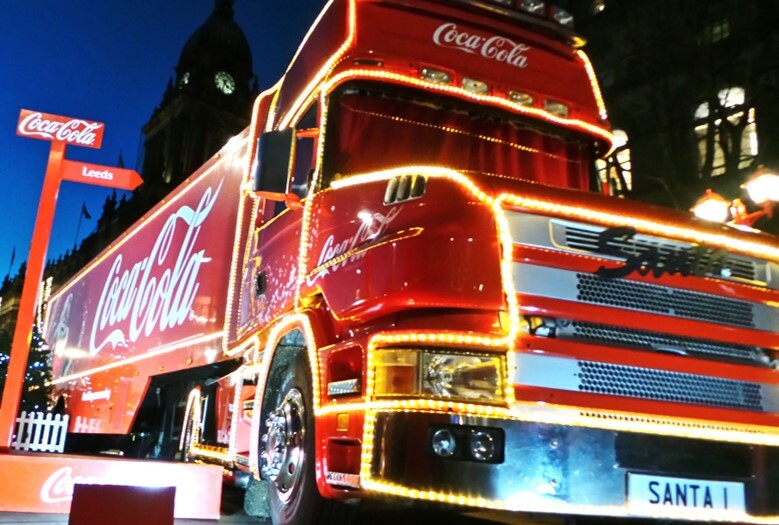 Christmas is looking extra special in Colwyn Bay this year as the Coca-Cola truck is coming to town! Come and enjoy this un-missable opportunity with family and friends from midday till 8pm on Wednesday 2 December. The truck is making a pit stop in Colwyn Bay at the top of Station Road / Abergele Road as part of its 46 stop UK tour and will be lit up in a winter wonderland setting, just like the advert. You’ll also be able to enjoy an ice cold Coke while listening to the sounds of a choir singing popular Christmas hits. There will be plenty of FREE family fun entertainment at the event including stilt walking candy canes, toy soldiers and roller skating ice pixies all parading around the festive tree on Station Road. There’s also a visit from Disney’s Frozen favourite characters, Elsa and Olaf! And of course, the big man himself, Santa will be arriving on a vintage charabanc accompanied by his Reindeers. As well as Conwy Council, the Town Council, Communities First, the Chamber of Trade, THI and local businesses all working together to deliver a family event for all to enjoy, there’s also a family Panto ticket up for grabs for the best Christmas Jumper selfie uploaded (keep checking for the latest information). Most activities will take place from 4pm to give you a chance to pick the kids up from school. To keep up to date follow @EventsConwy on Facebook and or Twitter. Organisers at Conwy County Borough Council are expecting a massive turn out throughout the day so would encourage those who live close enough to enjoy a family stroll and leave the car at home.